This was the first book that I have read by Jennifer Echols. I have actually had this book for an entire year and haven't had a spare moment to read it. Luckily I had a chance to pick it up right before I passed it on to another blogger- I don't know what took me so long! I am in love with Love Story! This book was witty, passionate, and kept me enthralled- I read it in one sitting! I loved the idea that of the back story between the two main characters and that they were both secretly writing about each other for their creative writing class. Now, did I find a few of the details a little unbelievable? Absolutely, but keep in mind that Erin comes from a rich family- an UNBELIEVABLY rich family. I think my disbelief of a few details about her life in the south was unbelievable to me because I have no idea how the "Other side" lives. I loved the chemistry between Hunter and Erin. I thought they had passion and just complimented each other incredibly well. I really was pleased by the life that the author breathed into her characters. They were an incredibly fun group to read about. I really wish this book would have been bigger- it really would have made an incredibly fun tv series. I would have loved to watch it- it was almost like Gossip Girl but add in some horses and add a more eclectic bunch of characters. 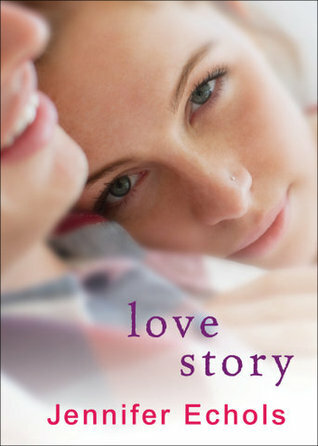 If you haven't read Love Story- I highly suggest you get to it. It was such a fun read! I was so frustrated by these characters-I thought they were kind of stupid for the most part but I did enjoy all of the supporting characters a lot. It could be a really cool show like Gossip Girl; that is something I would definitely watch!